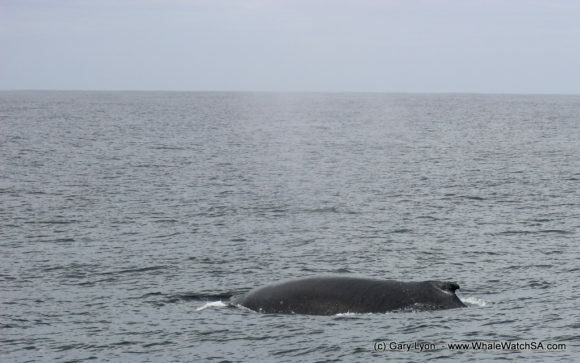 We had an eventful day out on Whale Whisperer today, with us finding some strange things whilst cruising about our bay. 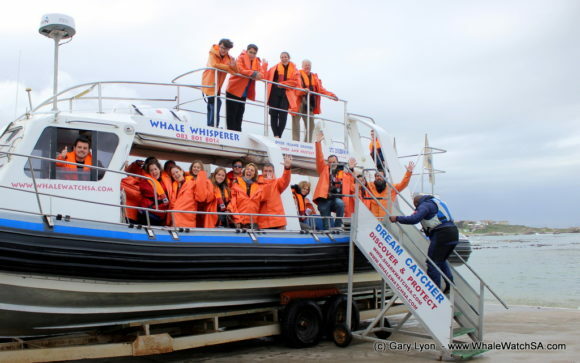 We’re heading into our busy season, so we’re running 3 trips a day at the moment. 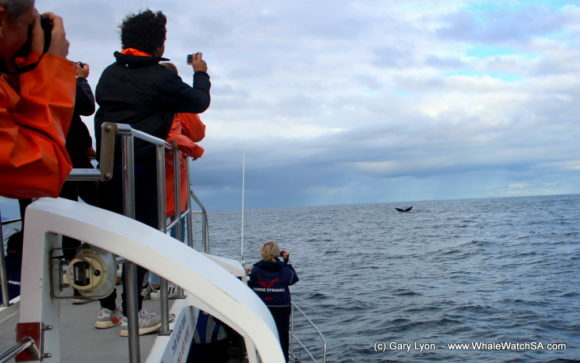 On the first tour, we were lucky enough to have the Marine Big 5, with the second spotting everything but the whales. 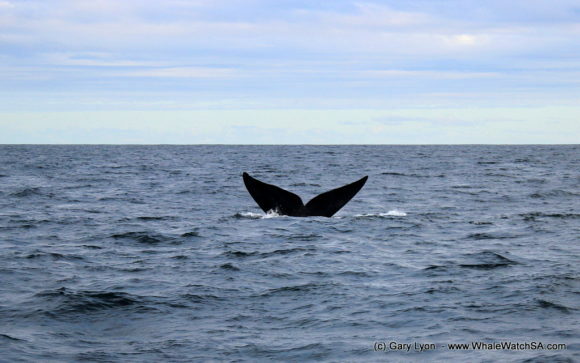 On our last trip of the day, we got to spend some time with a Southern Right Whale who gave us some tail, as well as some playful seals and a few African Penguins. 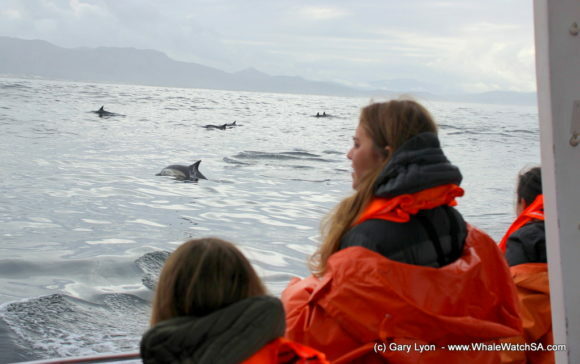 On our first tour, we set out towards Danger Point and very quickly encountered a pod of Dolphins. 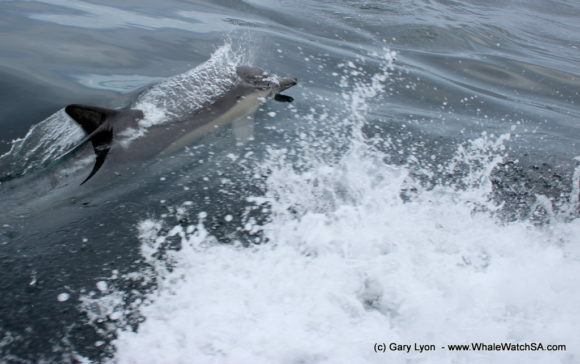 Upon closer inspection, we were really happy to see that they were Common Dolphins as these guys are notoriously playful. 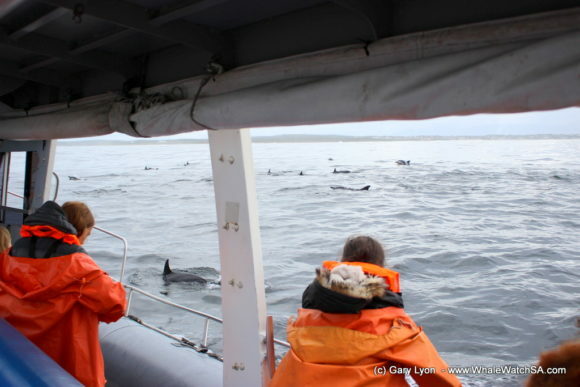 As we approached, the dolphins began to bow ride and we had an awesome time moving with them and watching them surface. 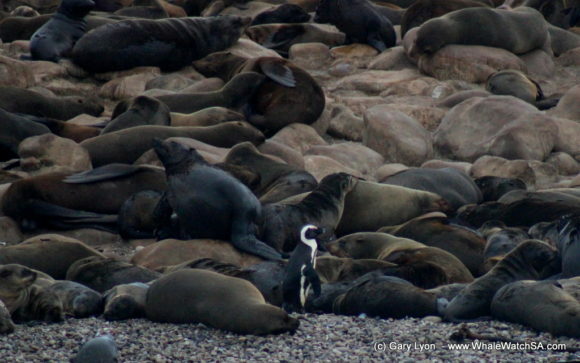 We also got to see some African Penguins in this vicinity before making our way towards our island systems. 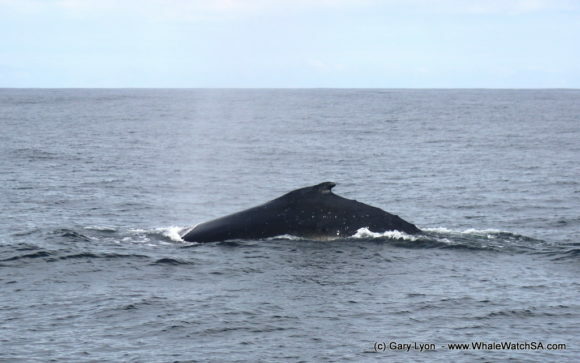 On the way, one eagle eyed client spotted a Humpback Whale, who began to breach in the distance. 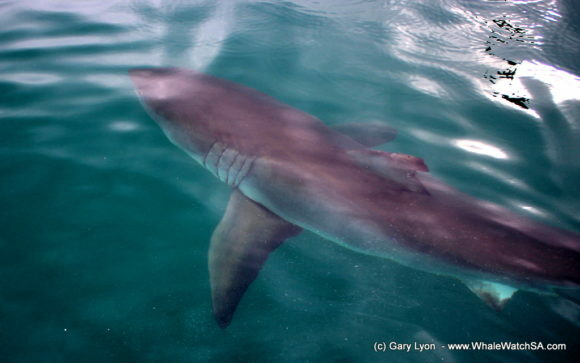 Although this did not carry on for long, we did get to spend some time with him as he travelled. 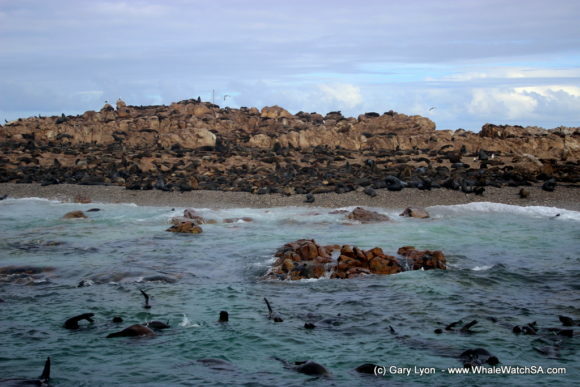 We then stopped by our Cape Fur Seal colony before heading into the shallows. 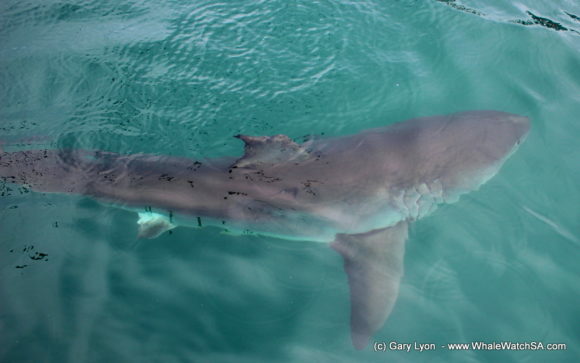 Here we spotted a Great White Shark, who was an absolute deity of an animal. 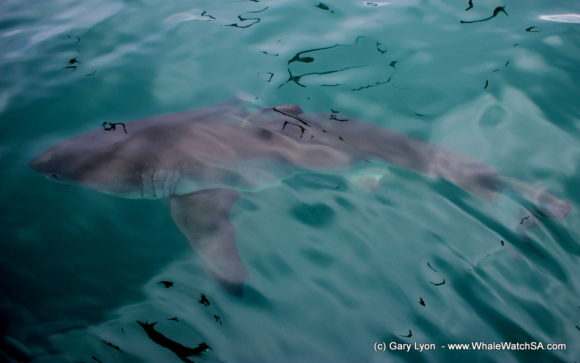 This girl really was the apex of beauty, and we were lucky enough to start our second trip with her circling our boat. 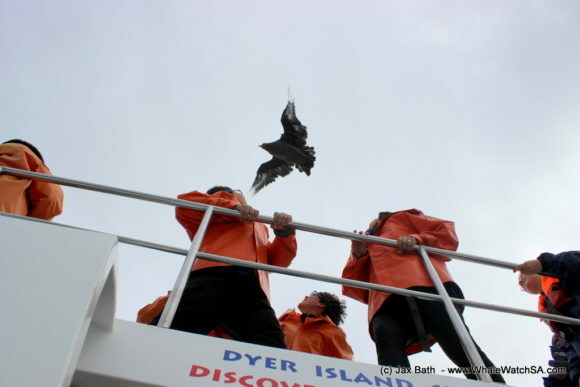 A prime example of just how gentle these misunderstood creatures can be, we got to watch as she gently investigated the cage diving vessel as well as our own. Well over 4m, this was definitely one of the highlights of today’s adventures. 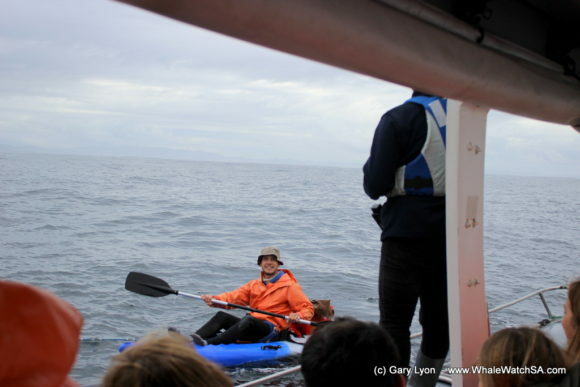 On this trip, we went on to do some searching which involved picking up a discarded balloon before ticking off African Penguins and the seals off at Geyser Rock and Dyer Island. 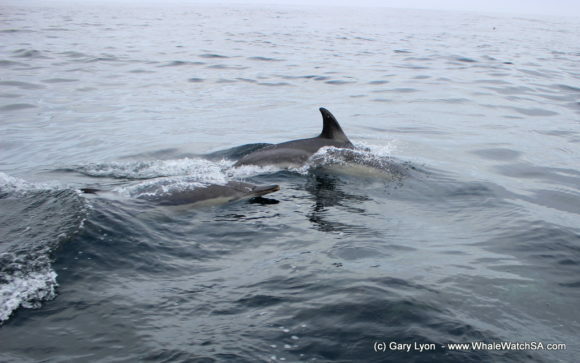 We also managed to catch up with the same pod of Common Dolphins and even spotted an Ocean Sunfish just off of Danger Point. 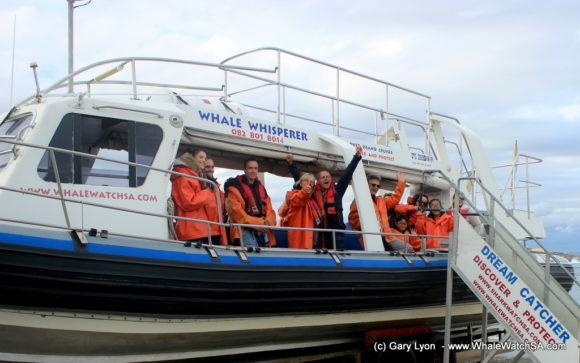 We then moved back to the harbour to pick up our final group for the day. 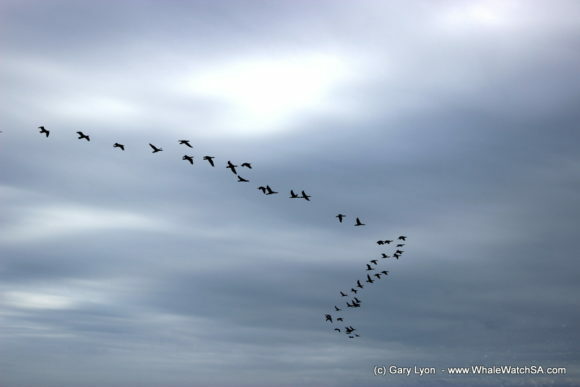 On this tour, we head straight towards Danger Point and after some serious searching, spotted a spout. 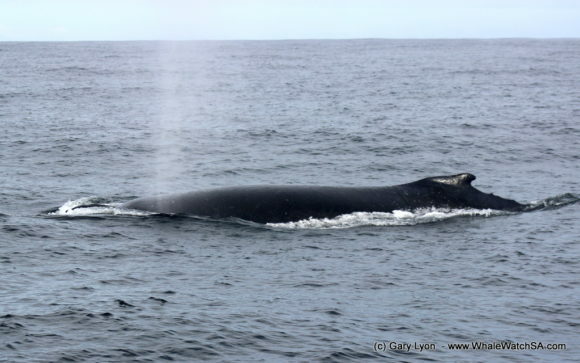 We were in luck as we had happened upon a Southern Right Whale. 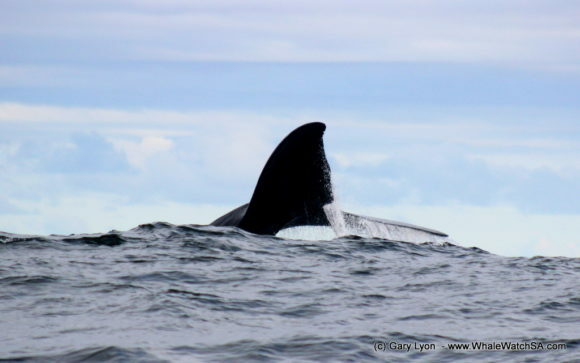 This whale was very generous with it’s tail, giving us some great views as It went a little deeper below the surface. 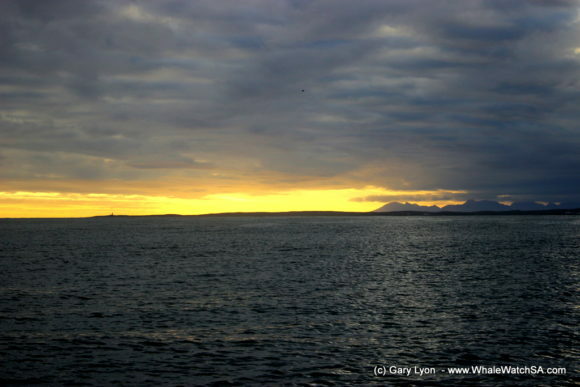 At this point, the light also began to drop, with golden hues streaming through the clouds. 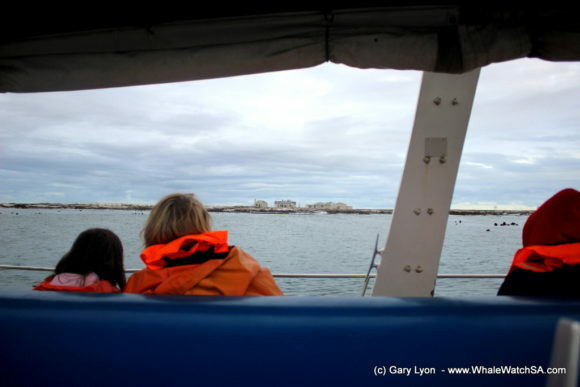 We slowly made our way along towards Shark Alley next, stopping just in front of our 3 hectare seal island before spotting an African Penguin amongst the pinnipeds! This little guy walked with confidence through the island, with some kind seals moving over whilst others preferred to give him some lip as he waddled on. 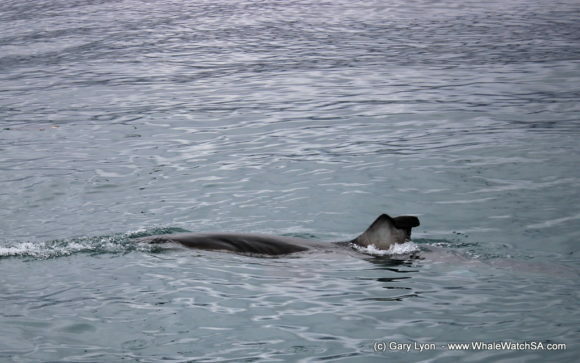 We went on to spot a few more Penguins in the open water, and finished off our day with a sighting of an exceptionally playful juvenile seal. 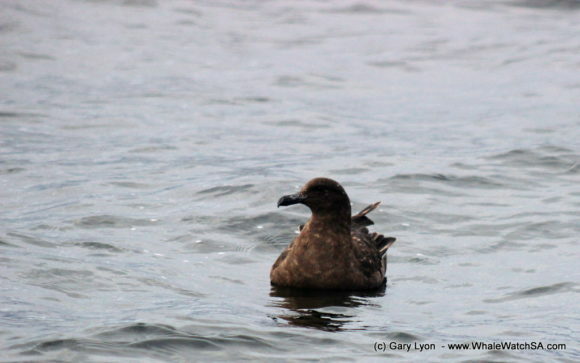 All throughout the day, we were also visited by some very curious and self-assured Sub Antarctic Skuas, which made for a great show.